T'way Airlines will change the number of flights between Tokyo Narita Airport in Japan and Jeju, which currently operates four times a week, into three times a week. T'way Airlines announced on Oct. 23 that it will reduce its flight of four times a week, which are Tuesday, Thursday, Saturday and Sunday, to three times a week, which will be Tuesday, Thursday and Saturday from Oct. 29 to Mar. 2018. The definition of slot here means specific time periods allotted for an aircraft to land or take off at an airport. 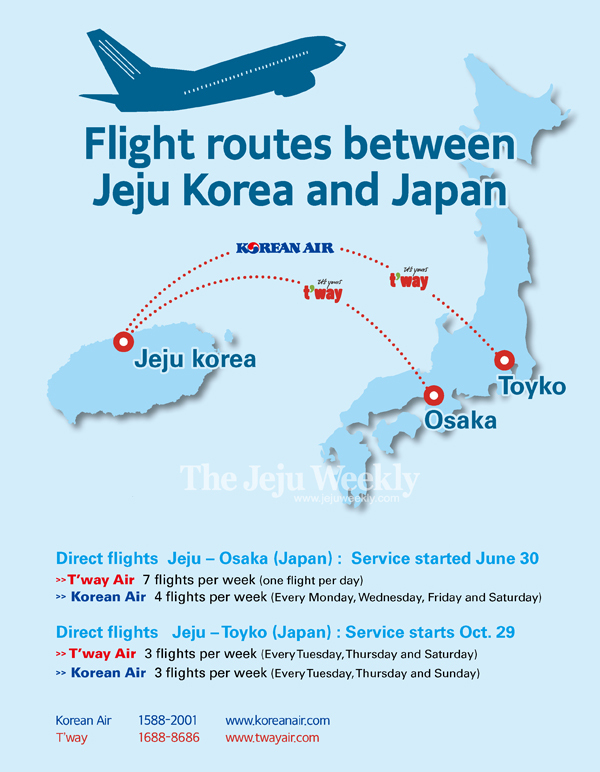 T'way Airlines continues to operate flights between Osaka and Jeju seven times a week. T’way Airlines is one of Korea’s low-cost airlines and it launched a new flight path between Tokyo and Jeju in Sept. 2017.